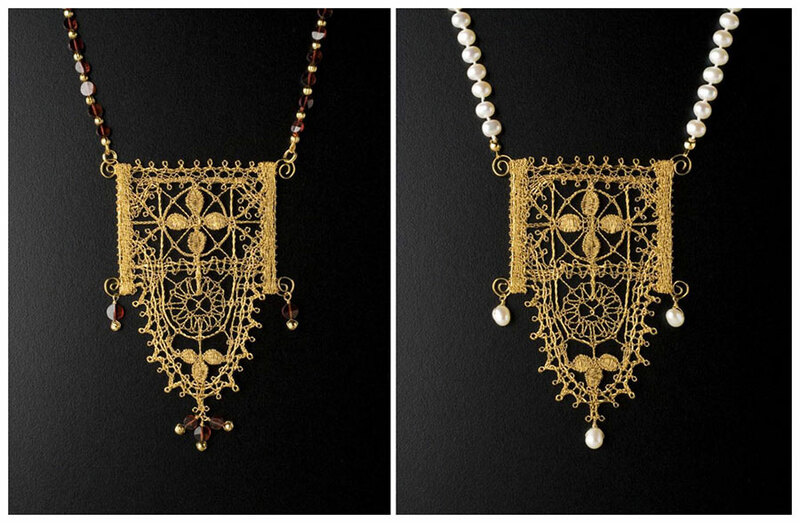 Genoese Scallop Pendants are inspired by bold and beautiful patterns of the Genoese laces. Lace made in Genoa was very popular in the Renaissance fashion. Wide scalloped patterns were firmly rooted in a sacred geometry of the early Renaissance, which gave them a mysterious strength and rare beauty. This was lace of choice for the famous standing and falling collars that supported many royal heads of the European courts of the 17th century. 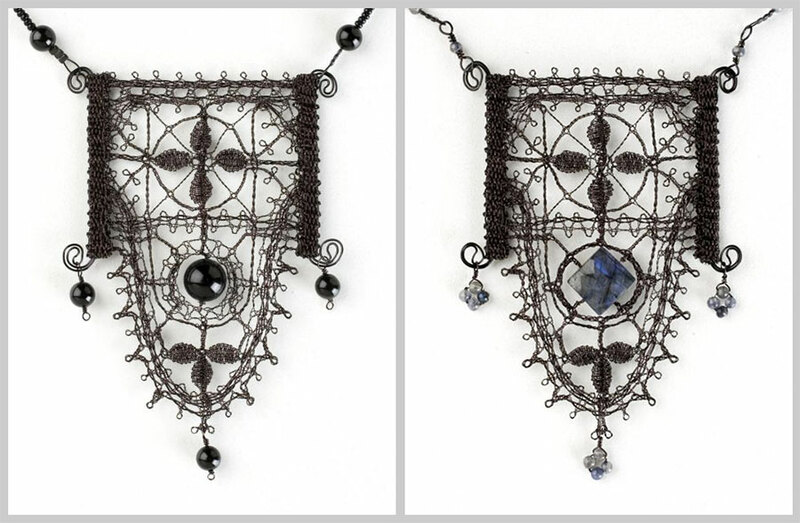 Genoese lace is uniquely suited for original lace jewellery. The patterns, which did not loose any of their magic and still evoke a regal connection, bestow the quality of one-of-a-kind heirloom. 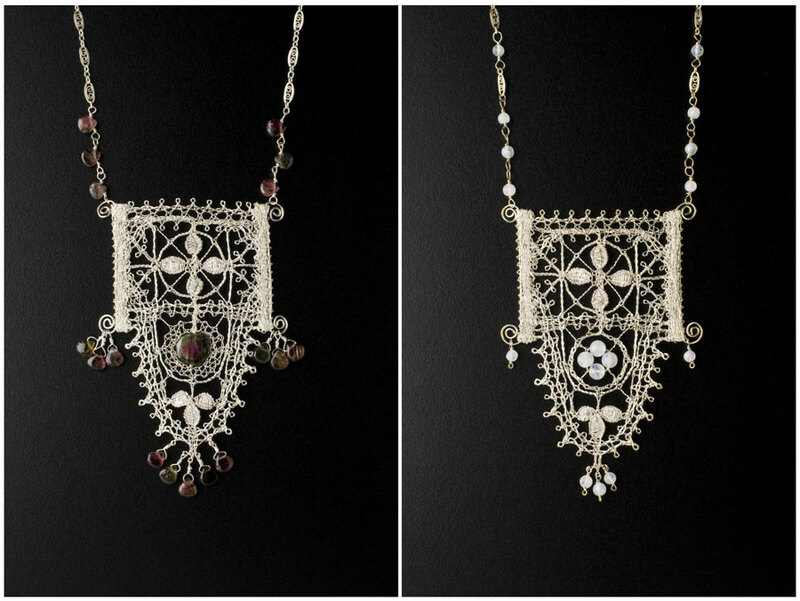 Material: Fine silver, gold plated with 24kt gold, with garnet (left) or fresh water pearls (right). All but one in private collections.